In the last few decades, Delhi NCR has become a land of opportunity for all. Many premier brand names like Accenture, Cognizant, Wipro, TATA, Google has established their offices in the region. This has caused heavy influx of people in the region that has led to tremendous growth in real estate sector. Everyone likes to own a home here and at a price that lies in our budget. Many Builders like Ansals, BPTP, Unitech, Vatika Group, Morpheus, and Amaatra are offering best property in Delhi Ncr starting from as low as 15 lakh. After latest decision of Supreme Court to remove construction ban in Greater Noida West, the property option has increased a lot in the region. The flats in the region have price range starting from as low as 20 lakh and ending as high as few crores. Today we will discuss on few option in Greater Noida West (earlier Noida Extension) that are providing budget homes. We will also give a general overview of the project so that you can choose the best option. Buzzed with innovative development and infrastructure Saviou Greenarche are luxurious 2 and 3 BHK homes .The project is well connected with Delhi, Noida and Greater Noida. These are 2 sided open projects with 32000 sq mtr lush green areas. Mahagun Mantra is a brand new residential address in Noida Extension created by the respected Mahagun Group. The residence options embrace 2 and 3 BHK spacious apartments that facilitate a pleasant life amidst an eco-friendly environment. BRYS Group, a renowned real estate development firm in Noida has launched new residential project under the name BRYS Indi Homes. These are 1/2/3/4 BHK apartments spread over 5 acres in various sizes from 550 – 1650 Sq ft. The BRYS Indi home in Sector-10, Greater Noida West is offering housing units that are designed copiously. The tower height will be approximate G+20 for 1 BHK and G+26 for 2, 3 and 4 BHK. Nirala Aspire is a brilliant option for all those people who are looking for budget homes with quality in Delhi NCR. 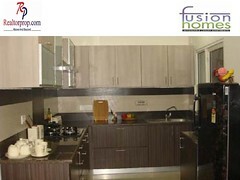 Located at GH-03, Sector-16, Greater Noida West, it offers spacious and skillfully designed 2BHK, 3BHK and 4BHK flats. Morpheus Group has launched its latest residential project under the banner Morpheus Pratiksha. These are luxurious 2/3/4 BHK apartments that perfectly suits within our budget. Amaatra Homes located at Sector 10; Noida Extension is the innovative residential project by India’s foremost developer Amaatra Group. Amaatra Homes Noida Extension is offering 2 and 3 BHK apartments that is spread over 5-6 acres of a land area with a lot of green area and superb design. These are few options that provide sparkling amalgamation of luxury and budget. Our company Realtorprop.com deals in all property related query and can also provide discounts on few selected deals. We have complete details of all the property in Delhi NCr .Our team does a complete R & D on project before making them live. Still if you have any query or want any service like buying property in Delhi NCR, selling a home, renting, leasing, loan services give us a chance and we will let you have the best option. Additionally if you want to know more about cheapest property in Delhi Ncr or have any doubt related to it feel free to ping us and our team will reach you with all updated details.